Mercury trine Uranus in the natal chart gives a brilliant and creative mind. It is as though you have antennae coming out of your head because all of your senses are so finely tuned. Your ability to see, or in some other way sense the future can make you truly psychic, or at least very intuitive. In the Highland and Islands of Scotland, this ability was called second sight. Exciting, original or peculiar ideas and people interest you. Above all, you need a great amount of mental stimulation to keep you satisfied. You are a problem and puzzle solver. This could make you good at crosswords and board games, and I suppose these days computer games. In fact, communicating via the Internet would suit you just fine, as would a career in computer technology or working on the Internet. Your originality and future oriented thinking would also suit careers involving mathematics, any of the sciences or technical fields, especially involving electronic gadgets. Your high degree of creativity would suit any of the creative arts or design. You could also be a skilled psychic or astrologer. Any field of occult studies would suit. You may prefer to hang around other slightly off beat or progressive people. Mundane chit-chat would most likely bore you. You like to entertain and to be entertained, and should have a wide circle of friends. You would find it easy to make new friends but they may come and go. This is a small chance that you may experience a lack of stability in some relationships. Your impulsive way of thinking may also lead to a lack of concentration or a tendency to become easily distracted. However, going off on tangents is how you will make many of your original discoveries, bright spark! Transiting Mercury trine Uranus opens your mind to new possibilities. There may be some exciting news coming your way, or chance encounters with eccentric, or in some other way stimulating people. This transit has a very stimulating, electrifying effect on your thinking and communications. Keeping an open mind comes naturally and this increases your chance of making new discoveries and making new friends. All of your senses are stimulated and your intuition should be strong and correct. Flashes of insight are possible when awake, or asleep through vivid dreaming. Any psychic abilities will be enhanced. In fact, this would be an excellent time to start studying astrology or another occult subject. You may also become more interested in taking up the study of computer technology or starting your own website, and generally communicating on the Internet. Mathematics, technical subjects and any of the sciences would also appeal. This is also a good time for puzzle solving and playing games. Your original way of looking at things would help find solutions to nagging problems. Being around interesting people is important because you will gain a lot of insight through sharing ideas. New friendship made now would certainly be stimulating but may not last too long. Eileen Brennan 0°00’46”, Alan Jardine 0°04′, Sarah Jane Morris 0°11′, Lady Helen Taylor 0°11′, Irene Cara 0°15′, Bernadette Peters 0°17′, Connie Francis 0°22′, Angela Rippon 0°25′, Don James 0°26′, Nicolas Cage 0°28′, Russell Crowe 0°36′, Abraham Lincoln 0°37′, Jessica Savitch 0°43′, Ferdinand Lindheimer 0°45′, James Baxter 0°53′, Arthur Koestler 0°59′, Venus Williams 1°15′, Fidel Castro 1°25′. Mercury stationed retrograde trine my Uranus today. Spent time chatting with a new friend on the internet. Quit smoking 12 hours after exact aspect. Easiest attempt ever, still going strong after nearly one week. Yes, gave up on May 30 so I have to reach to September 1 solar eclipse to beat my record of 3 months from two years ago. Feeling great about it and thanks for asking. am happy to learn that I have this aspect as close as 1° and I love intellectual stimulation. I love gadgets and the internet. But wanted to know whether this aspect makes one allergic to women? Although being a woman I don’t like to be in a woman’s company as I find them too mediorcre. Is this aspect responsible? Hi Tina. I expect this would be due to some other aspect or fixed star influence. Both these planets are considered asexual. I have this aspect and I hope that July 27, 2016 isn’t too painful! I can’t imagine why it would have been Kimberly. Anyway, hope it turned out well for you. Big fight or brilliant idea ? 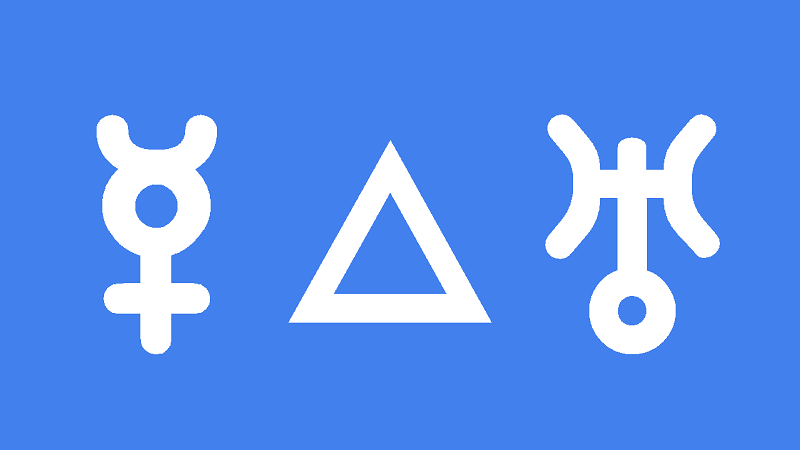 if you have Mars trine Uranus in your chart then you should already have a good idea of which way this aspect turns out for you. Mercury is fairly neutral in transit.